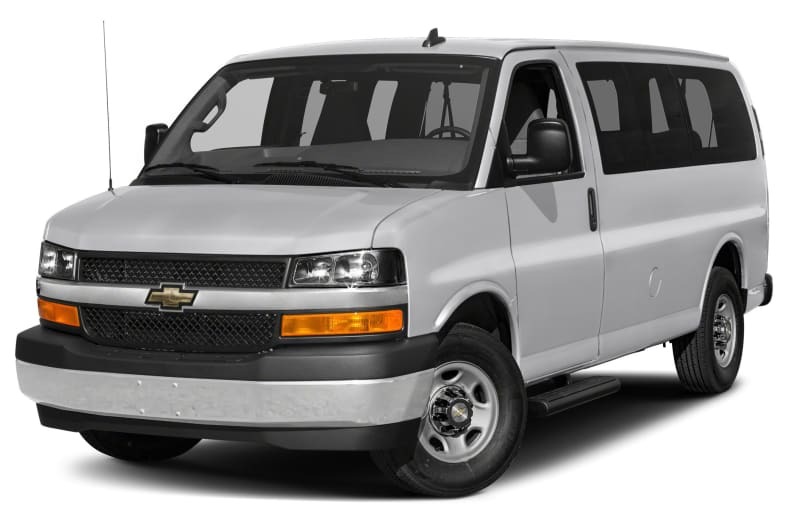 Chevrolet's rear-wheel drive Express 2500 passenger and cargo vans provide a rugged and durable means of transporting several passengers or a large payload of cargo. The Express 2500 passenger van features a 135-inch wheelbase, while the cargo van is available with a 135-inch or a 155-inch wheelbase. There are four available engines for the Express 2500 lineup: a 285-hp Vortec 4.8-liter FlexFuel V8, a 342-hp Vortec 6.0-liter FlexFuel V8, a 282-hp 6.0-liter natural gas V8 and a 525 lb.-ft. of torque Duramax diesel 6.6-liter V8 on the cargo vans. All of the engines are teamed with a fuel efficient six-speed automatic transmission. The Express 2500 passenger van is available in an LS or an LT trim, can accommodate up to 12 passengers and offer several convenient options. The Express 2500 cargo vans are available in a Work Van and a Diesel trim while an additional Upfitter trim is available on the 155-inch wheelbase model. All of the trims provide an excellent base for a multi-purpose utility vehicle that can be equipped to suit your comfort needs, or modified for your workplace requirements. Safety features include four-wheel anti-lock disc brakes, StabiliTrak, and front airbags with a side curtain airbag on the passenger vans. For 2015, the Express 2500 offers two new exterior colors, a 110-volt power outlet is standard on all trims and two new audio systems are available.